Darcy Luoma is a master certified life coach, dynamic facilitator and professional speaker. She has a Master of Science in organization development from Pepperdine University, where her thesis research showed profound results that life coaching significantly increases overall life satisfaction and professional growth. Darcy served for 12 years as the director of U.S. Senator Herb Kohl’s office. 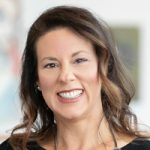 She is now the owner and president of Darcy Luoma Coaching & Consulting, LLC, which focuses on creating high-performing people and teams. She is thrilled to have been voted Madison’s favorite life coach multiple times! Darcy balances her thriving business with raising her two energetic daughters, adventure travel and competing in triathlons.